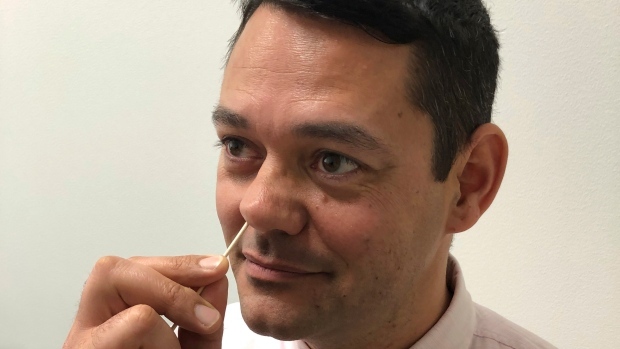 It’s a low-tech approach to a big problem: About 5 per cent of patients have MRSA — antibiotic-resistant Staph bacteria — lurking on their skin or in their noses, putting them at high risk of developing an infection while recovering from an illness or an operation. These can affect the skin, heart, brain, lungs, bones and joints, and most of them land people back in the hospital. “It’s a very simple solution. You don’t have to swallow a medicine, you just have to clean the outside of your body for a little while longer,” said Dr. Susan Huang of the University of California Irvine School of Medicine. She led the federally funded study, published Wednesday by the New England Journal of Medicine. Heather Avizius was one. The 41-year-old nanny has had MRSA infections in the past and entered the study after severe complications of Crohn’s disease landed her in St. Jude Medical Center in Fullerton, California, eight years ago. Nearly half dropped out of the study early or couldn’t be found for follow-up. It’s worth it for patients to do whatever they can to prevent an MRSA infection, he said.